One type of bridge consists of crowns placed on either side of the missing tooth to connect the replacement tooth or teeth to them. Another type of bridge consists of the replacement tooth attached to the adjacent teeth with wing-like appendages. Bridges can also be supported by dental implants. 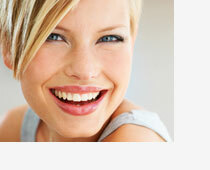 Natural-looking crowns and bridges can be an ideal solution to replace or support missing or damaged teeth. Thanks to Dental American Group’s state-of-the-art equipment, these procedures are much simpler and the results are more aesthetically pleasing than ever before.